You name it – this is marketing manna. 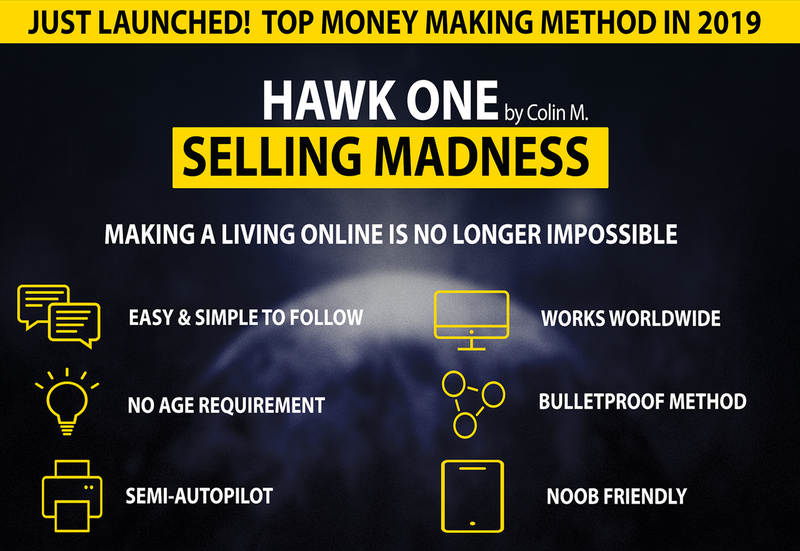 I am going to show you exactly how to succeed in this incredible arena even if you’ve never pinned anything before. Pinterest works so well for marketers for two reasons: it is simple and it is flexible. 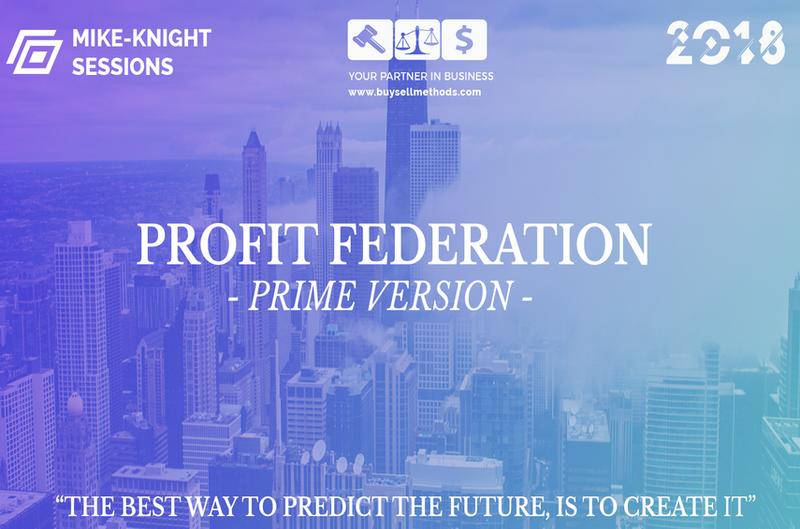 The ongoing tweaks and changes they have made to the platform have only strengthened these aspects while opening up new ways for you to benefit from it. There are even more on the horizon. That’s because Pinterest views itself as uniquely suited to marketers – far more so than any other social media platform. In fact, it doesn’t even see itself as a social platform so much as a search and discovery engine like Google. Pinterest also feels that the fact its users are uniquely engaged with, and interested in, products makes it perfect for marketers. We’ll go on to discover how innovations such as Promoted Pins and Buyable Pins as well as the reinstatement of affiliate links helps drive billions of sales and how you can utilize them. But let’s start with the Pinterest basics that everyone needs to know and even if you think you have these down, it always helps to refresh your approach from the ground up. Again, I would suggest you go through everything in the order it is set out for you, so you can build on those basics to incorporate what is new and different and therefore maximise your results. 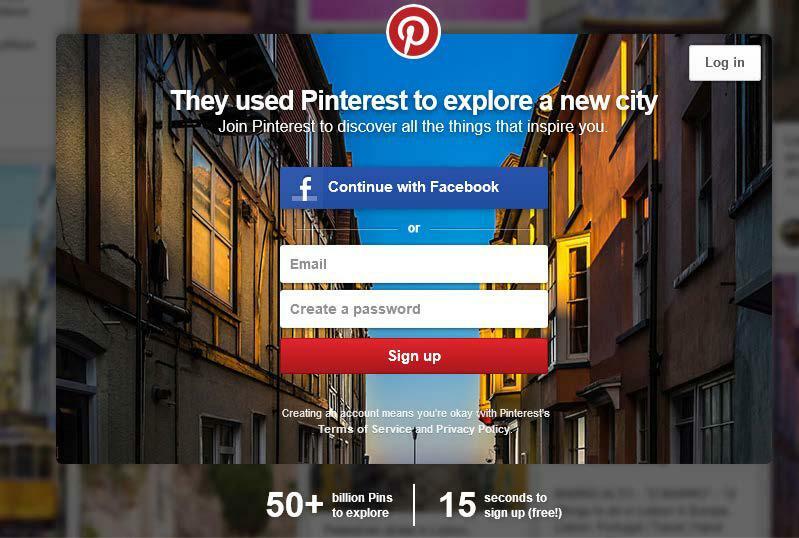 What Does Pinterest Mean For Marketers? On Pinterest, people can opt to follow boards or subjects as well as individual pinners, leading them to objects or niches rather than the individuals promoting them. Provided, of course, you do it right! And one fundamental cornerstone of getting it right is to know your target market as well as your potential market…as it turns out, it’s a very large market indeed. Focus on that last one for a moment. They are there to buy. Not only are there millions of Pinterest users but they are extremely active and interactive…and the Pins they create last for aeons in marketing terms. Imagine having a message out there that actually grows in impact and retains that impact for far longer than any Tweet, Facebook post or probably even the average blog post. A highly visual message that can instantly draw your perfect customer in while conveying precisely what you want to say in very few words. Because Pinterest is all about feeling. In short, fulfilling every ideal of great marketing quicker and easier than any expensive advertising campaign. Did I mention that Pinterest is free? And while it might be free, but it’s a place where people love to spend money. Meaning that getting your Pins out there and re-pinned is a proven way to skyrocket your sales and leads, especially if you bear in mind that aspirational aspect and feed it as you pin. In terms of sales, Pinterest is way ahead of Facebook and LinkedIn in those top three categories and closing the gap when it comes to Fashion & Beauty. When you think that Pinterest is still growing and currently has far fewer users than Facebook, you begin to see not only its enormous potential but its significance as a sales platform. This significance grows when you learn that Pinterest users actually spend more on average per sale than Facebook users. “The average order value of sales coming from Pinterest is $50 – higher than any other major social platform. 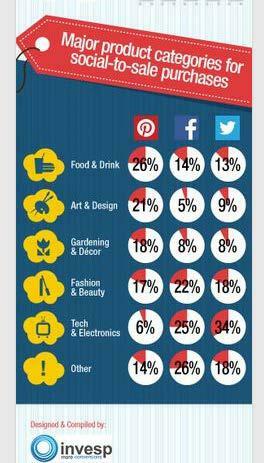 Pinterest is the #2 overall source of all social media traffic to Shopify stores. So, those highly engaged, interactive Pinterest users are happy to spend significant amounts of money as well as pinning pretty pictures. There’s a good reason for that – people are on Pinterest to buy whereas on Facebook they are there for the conversation. 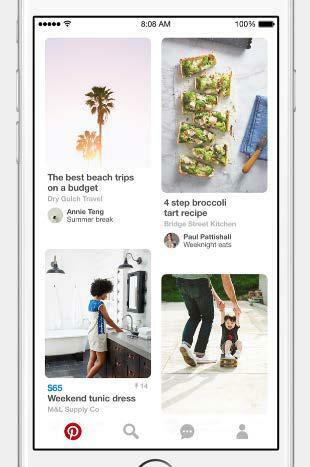 Best of all for marketers like you, Pinterest has not only recognized this desire to buy on its platform but is positively encouraging it, introducing all manner of tools for sellers to use including Promoted Pins. So…you get instant impact from your highly visual Pins coupled with a long half life for them. The half life of a Pin is, on average, 3.5 months. That is the length of time it takes to get 50% of its engagement. This is 1,680 times longer than Facebook which means that the minimal time investment you make in a Pin will last a lot longer than anything you post on Facebook! You also have a platform full of eager buyers…and the people behind it are only too happy to encourage these buyers, innovating all the time to make theirs an even more powerful marketplace. Some of those ongoing innovations include the ability to use affiliate links on Pinterest once more, the addition of a Buy (or now Add To Cart) button and the complete roll-out of the Promoted Pins program as well as a redesign that encourages more a more global appeal and therefore a wider customer base for you. You will learn more about each of these in this course and how to utilize them to your benefit. To set it up is one-click easy. To pin and keep pinning is even easier. Now all you need is the right strategy to make the most of this marketer’s paradise and you, too, can be reaping the rewards in terms of huge boosts in traffic and sales from Pinterest. 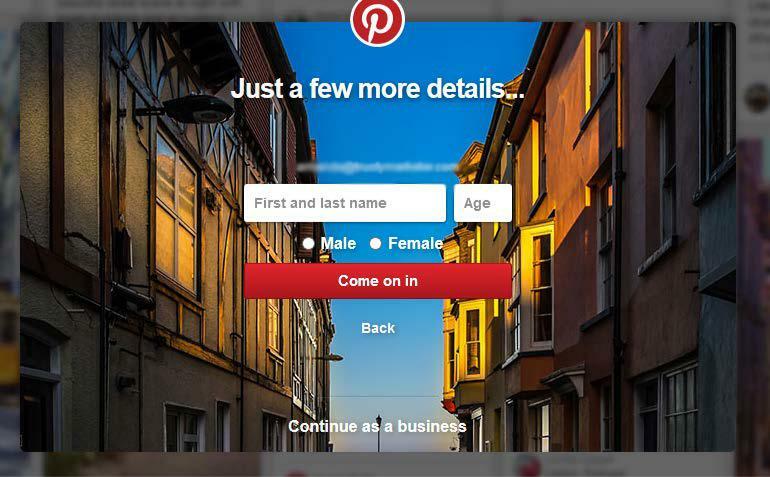 To sign up for a Pinterest business account, simply enter your details at www.pinterest.com and hit that sign up button – I prefer to do it that way rather than sign up through Facebook as I can then decide which email I want to use with that particular account. You can have multiple Pinterest accounts – business and personal – but if an account has any commercial intent or engages in commercial practices then you must make sure it is a business one. On the next screen, fill in the relevant details and select your ‘business type’ from the drop-down menu. Don’t worry too much about this as you can always edit your business type later. Do fill in your site if you have one already set up – I prefer to have my niche site ready to act as a hub before I start setting up relevant social media accounts. It’s a good idea to read the next chapter before you do this which is all about pinning down those Pinterest users and their interests so that you maximise this as a marketing platform for you and your business. Again, don’t stress too much about it as you can always follow more interests later on. Pinterest will then ask you who you want to follow and if you want to search for friends already on there. If you already have a following for the site or business you want to promote on Pinterest and a separate Facebook or Twitter presence for it then by all means do this now or skip it until you’re ready. What you don’t want to do is just add random people or a general list as the art of success on Pinterest lies in making your marketing efforts as targeted and focused as possible. Your next step is to choose whether or not to download the Pinterest button for your site (a good option although there are others that I will tell you about later in this course) and to add an image and description in your account settings. When choosing an image, it’s a good idea to select one that’s congruent with the same image you use for that particular niche on other social media sites so that you gain from that instant brand recognition. Your description should contain your most important keywords but above all it should be enticing and tell people what you’ll be pinning so they know why they should follow you and your boards as well as conveying the benefits you offer through your site or company. It all comes down to the essential WIIFM – what’s in it for me – factor that drives all good marketing messages. Remember – don’t sweat this too much as you can always go back and refine it later but get something up there and you’re almost done. I say ‘almost’ because one of the most important things you need to do now is to confirm or verify your site so that you get access to Pinterest analytics as well as creating increased trust and authority. Once your site is verified, people will see your logo on anything you pin which will also increase your brand recognition. You’ll be able to grow your brand on Pinterest faster and get more leads and sales in the process. For WordPress users, there is a simpler and quicker way. All you have to do is upload the free Pinterest Verify plugin which you can find by navigating through your site dashboard to Plugins -> Add New and then searching for Pinterest Verify. The plugin adds the meta tag you need without any uploading on your part. Whichever route you follow, once your meta tag or HTML is in place or uploaded, you simply need to go back to Pinterest, click on finish and your site will usually be confirmed within minutes. 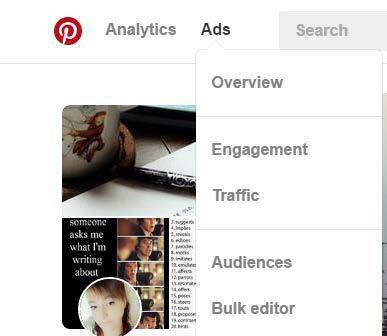 You are now able to access those vital Pinterest analytics which means you can see not only your reach but which of your Pins are proving most successful in terms of engagement and re-pins. To give you an idea, below you’ll find a screenshot taken from a new Pinterest account I set up which was only a few days old at the time I took this. With Pinterest, you want to build slowly but consistently. 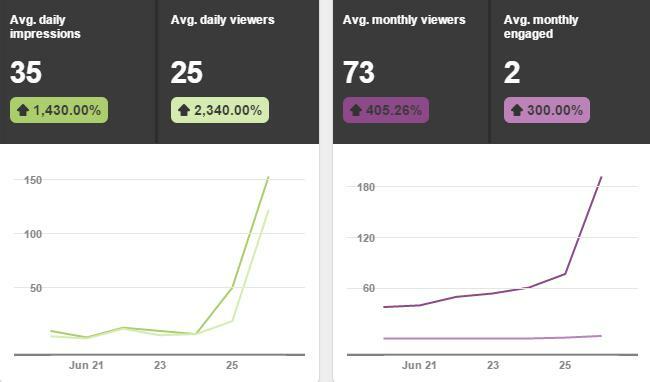 You can see that although I am following my ‘slow but consistent’ policy, the impact is more or less immediate as is growth in numbers of impressions and viewers. As well as the information above, I can see my top Pins for engagement. If I then click on Your Pinterest Profile in my analytics I can see my impressions, re-pins and clicks. My all-time most successful Pin on this new account is a Rich Pin and several other Rich Pins are high up on my stats, proving how they can really boost engagement. These analytics give me invaluable information on what Pins are working best and also how I can tweak what I pin to get even more engagement, essentially repeating what works and trying to improve what is working less well. It’s important once you’ve seen what are your top Pins to then re-pin them to new boards to increase engagement even more. 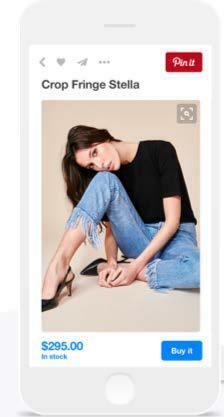 Pinterest has recently changed the way that repins are counted so that the figures you see now are summed. This means that every individual share of a Pin is counted in the total displayed which explains why some people have seen figures for individual Pins suddenly shoot up. Like all social media platforms, Pinterest wants you to share great content and is essentially rewarding you for making your Pins as enticing as possible so that people repin them. 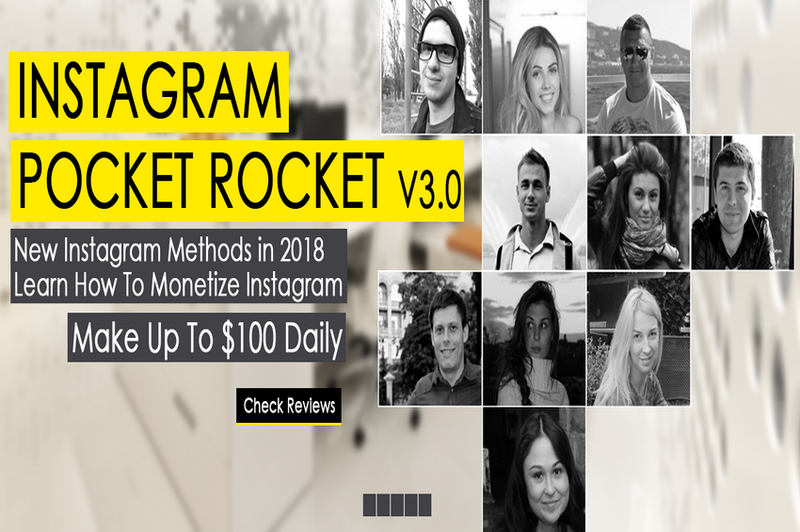 Of course, this means even more exposure for you and your business so follow the best practices I teach you here and aim for as many repins as possible. To help create those irresistible Pins, I need to know what my target audience wants. By clicking on the Audience tab in my analytics I get much more precise information about the demographics of the people who see and act on my Pins, including their country, language, engagement trends and gender. Even better, I can also click on the Interests tab and see the information which Pinterest handily provides in clickable and expandable form. This means I can go as deep as I wish into this particular audience, their desires, needs and what appeals to them most in image form as well as niche content. I can also export all my analytics for future reference. As ever when it comes to successful marketing, you have to know your audience. In the past, people have dismissed Pinterest as a site for bored yummy mummies pinning pretty pictures of the latest recipes or ways to re-decorate their home. While it is true that the majority of Pinterest users are still female, men are now Pinterest’s fastest growing demographic. In fact, a third of all sign-ups are now men. So why are more men pinning and re-pinning? One reason is that more users than ever are international. Pinterest has revealed that over half its user base now comes from countries outside the US. In India, Korea and Japan, the breakdown of female to male users is roughly 50-50. For marketers, this opens up new opportunities to target local audiences. If you have a product or service that appeals to a particular country or local market or is in another language, now is the time to set up your boards so that they appeal to that market. While the categories that are traditionally most popular on Pinterest have remained largely the same – and unsurprisingly, are both female dominated and highly visual – there are others that break through all the time. And the great thing is that you can gain a good following on Pinterest in almost any category so long as you follow the rules I set out for you later in this course. Gaining a good following along with good engagement means that you will get tons more traffic to your site and therefore, inevitably, more leads and sales. For both men and women, the most popular category is Food & Drink, all of which corresponds to those most popular categories I mentioned earlier as well as to the interests of my new followers if you glance back at the screenshot in the previous chapter. Within those 32 broad and 6 specific categories, there are any number of ‘related’ interests that Pinterest helpfully serves up to its users when they look at a main category page. Interests are collections of Pins about a specific niche topic and it is these you need to follow if your business or niche does not fit into one of those broad categories. Now, before you start telling me that your niche has nothing to do with Food & Drink nor does mine – but I found a way to include it. The art of success in Pinterest lies in finding sub-niches to your main niche and ensuring those correspond with what is most popular. If, therefore, your niche is DIY then you should set up a first five or so boards that cover not just your main niche topic but related sub-niche topics such as gorgeous paints & wallcoverings, tools that make the job easier, what to wear when carrying out DIY, DIY projects for kids and snacks, smoothies & juices to give you the energy to complete the job well. I included three of the most popular topics on Pinterest while still applying them to the DIY niche: fashion, kids and food & drink (as well as home décor with which the DIY niche overlaps). They also fulfil the other crucial factor in creating a successful Pinterest account which is to offer great value to your followers. For every promotional-type Pin, I include maybe 20 that simply offer a gorgeous image along with a link to great information on both my own sites and other sites. To learn more about how and why people use Pinterest differently to other social media sites, watch the first video I created for you which you can find in your Member’s Area. Once you have done that, watch the second video to understand how to precisely target your audience and what that means for you as a marketer. 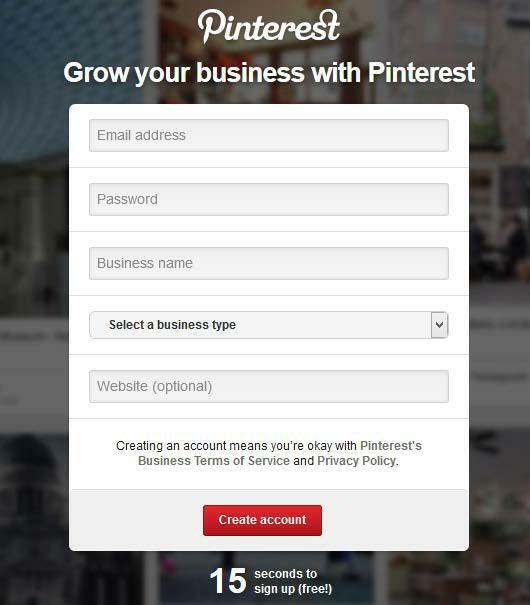 On Pinterest, it’s vital that you not only re-pin but that you create your own, original Pins. Before you do so, you should consider what result you want to gain from that Pin. Is this Pin to build your brand? To display a product to entice buyers? To persuade people to visit your site and sign up? To position you as an expert and authority in your field so that people buy your services? Think about this and think about the action you want people to take. If you want them to click through and visit your site, page or post then tell them to do so. One secret to success on Pinterest is to make sure you create your own unique Pins. That way you can not only brand yourself and your sites and create a far wider reach but you will also stand out from the same old Pins that are seen all the time. To upload your own Pins, simply click on the empty rectangle on your chosen board that says: ‘Add a Pin’ and then select ‘your device.’ You can then navigate to your chosen image and add it to your board. To see me do this, take a look at the Creating A Pin video in your member’s area. Pins that contain a clear call to action in their description along with a URL are far more effective and Rich Pins make this even easier to achieve. Product Pins – Are probably most exciting for marketers as they include real time pricing, availability and where to buy. 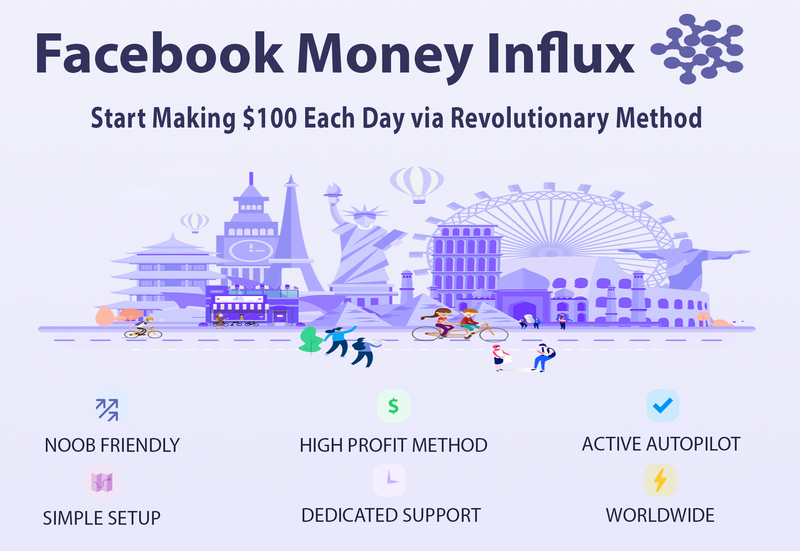 You can also take advantage of the feature that alerts Pinners when the price falls by more than 10% as you can run sales to create a rush of interest. Recipe Pins – To my mind are also incredibly useful for both affiliates and product creators in multiple niches including food & drink, weight loss, fitness, anti-ageing etc as you can include ingredients, cooking times and recipe info which is especially compelling to the avid followers of these niches. Movie Pins – These include ratings, reviews and cast members. Again, if you think creatively they can add real value to your boards which is what you should always be aiming to achieve to gain more followers and re-pins. To apply for Rich Pins, you need to first set up the correct Rich Pin meta tags on your site and then apply via the Rich Pin validator to have them enabled. This is less complex than it sounds and well worth the (small) effort involved. Pinterest does not take a cut from the sale and you still handle shipping and customer service. 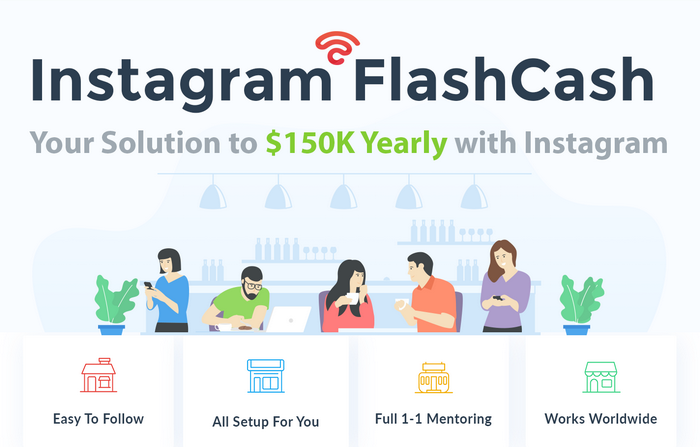 This offers a huge new opportunity to ecommerce store owners to sell directly to browsers and buyers on Pinterest and benefit especially from impulse buys. Promoted Pins have been around for a while year now but only to US users at first. Now Pinterest have not only rolled out the program to the UK as well (with more international users able to come on board as they expand), they have enabled Audience Targeting which makes Promoted Pins a serious contender alongside Facebook and Twitter when it comes to paid advertising. Choosing the right Pins to promote is vital to your success! Of course you always want your Pins to succeed by appealing to people and attracting a lot of repins but when it comes to Promoted Pins you need to make extra sure you use the right images and preferably those that elicit an emotional response. Why emotional? Because that’s how we buy. 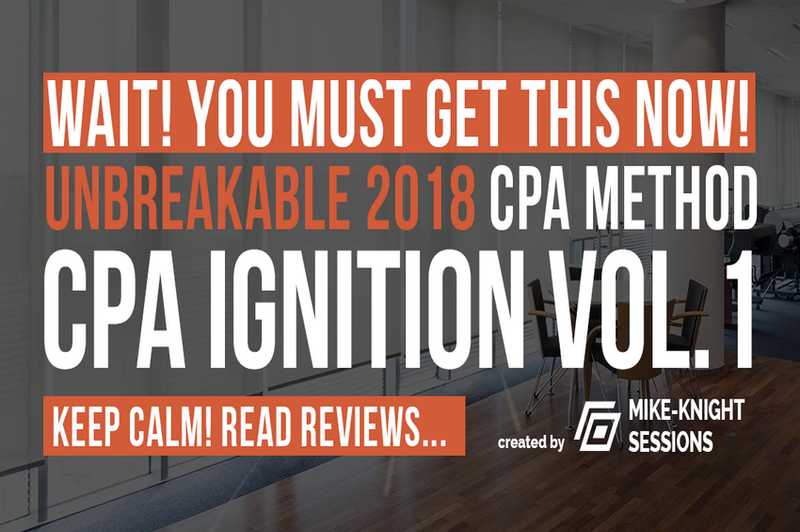 Apart from following the optimization guidelines in this course, you therefore need to make sure you have filled out your Target Audience worksheet and know exactly how to push the right emotional buttons for your market. In the same way, you need to use the right keywords with your Promoted Pins because they are searchable. Pinterest recommend that you add 20-30 to each Pin to make sure they show up in the right place. Before you do any of that, however, you need to decide the objective of your campaign. There is a third Awareness option but that is only currently available to Fortune 500 companies. If you want to drive more traffic to your sites to get more sales then you want to run a traffic campaign whereas if you want to know how people are engaging with your Pins by clicking and repinning, go for the engagement option. This will also boost your repins and followers as well as your profile. 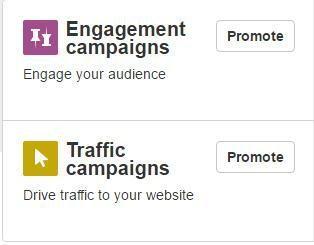 With an engagement campaign you pay per action taken and with a traffic campaign you pay per click. You set a daily budget so you don’t need to worry about spending more than you intend. You want to fill it out with a memorable campaign name that you will recognize and set your daily budget. It’s wise to start small and scale up if your Pin performs well. 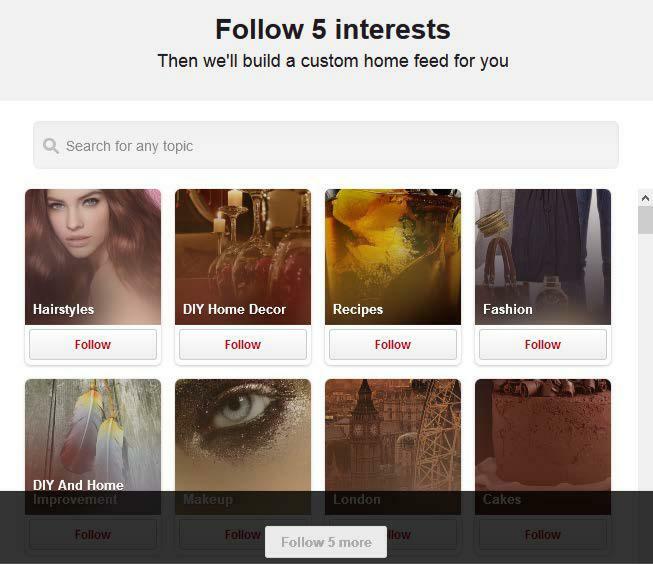 Then click on the Pick a Pin button and Pinterest shows you the Pins you can promote. It also offers you the 30-day most clicked Pins and most saved Pins. For engagement campaigns, you may want to choose an existing Pin that is performing well and for traffic campaigns you will probably want to create a new Pin. Once you have selected the Pin you want to promote, you are offered the following targeting options. The most important one to focus on is keywords – the others are optional but will help narrow down your audience even more. You want to strike a balance between targeting and narrowing your audience sufficiently that they will highly interested in your Pin without excluding potential customers. Choosing the right keywords will help your Pin show up in the right places on Pinterest to the right target audience – who will then be more inclined to interact with your Pin in the way you intend. When it comes to setting your maximum CPC bid, remember that this is the maximum you will pay and it will often be lower. Pinterest will show you a suggested range but you can always bid below that and increase it if necessary after running your ad for a day or two. 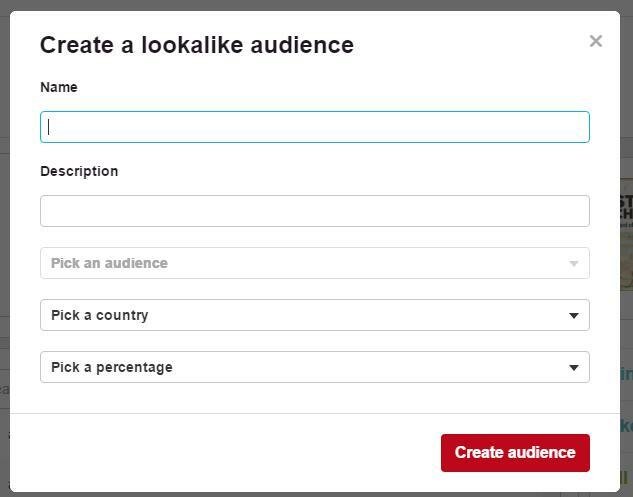 If you click on the Create An Audience tab this is where it gets really interesting. These options mean you can now serve up your ads in the form of promoted Pins to people who have already interacted with you in some way. Which means they are far more likely to respond and buy because they already know, like and trust you! 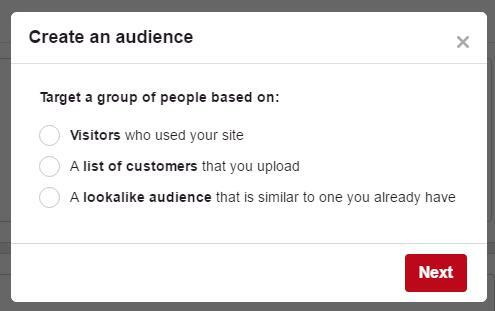 You can upload your existing customer or subscriber list or create a new one but bear in mind you must do that before you can create a Lookalike audience. 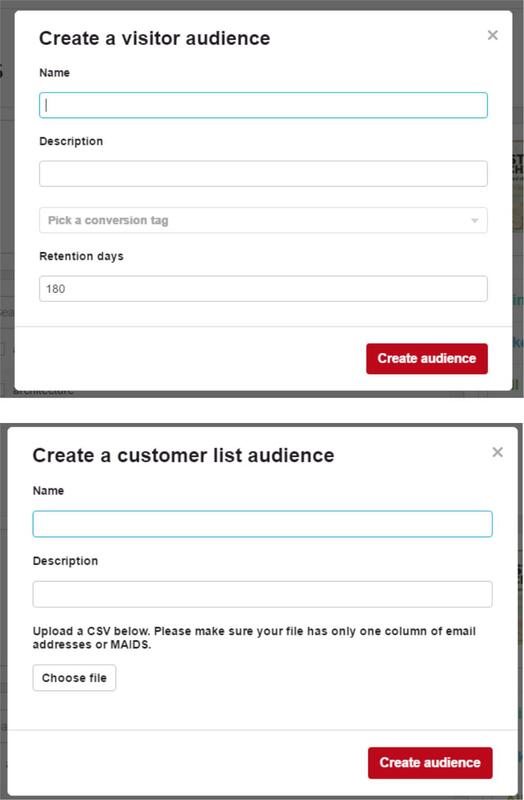 It’s most powerful to combine a target audience with the other targeting options such as keywords for maximum results. It’s very important to track and analyse your results and adjust your bid and your Pin accordingly. You should split test and try different headlines, calls to action and images on your Pins as well as the elements on your landing page. Your final step is to set your payment information and then submit your ad. It’s important to make sure everything is as you want it to be before you submit although you can edit certain details of your campaign, including spend and end date or pause it at any time. And then the next four videos to learn how to create and optimize your Pins to drive traffic, get followers and sell more of your stuff on Pinterest. You learned in your video training how to optimize your Pins but I want to add a little more here that is easier to view on the page. 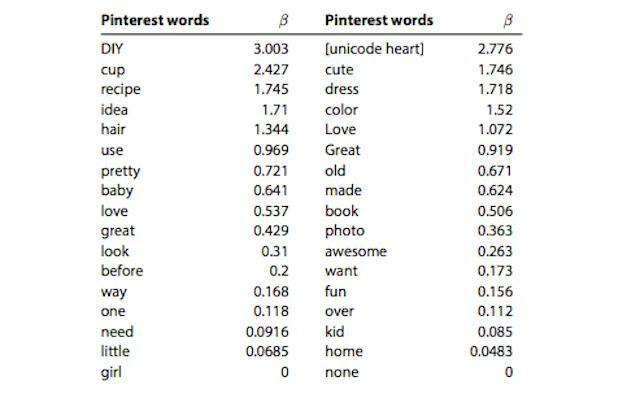 Recent research on more than 2.9 M Pins and 989,000 Pinners revealed the words that are most common and identifiable for Pinterest users. This means these are the words that resonate best with them. If you can work these words into your Pinterest descriptions in a way that does not disturb the flow or jar with the reader then you stand a higher chance of getting Pinterest users to engage. Don’t, however, do this at the expense of conveying the aspirational and actionable content that is vital for Pinterest success. Ah…the juicy bit. Except that everything that has gone before this section is also about monetizing your efforts on Pinterest because this is a place where having the right strategy and sticking to it consistently pay off big time. Pinterest lifted its ban on affiliate links a while back which means you can use them with your Pins as long as your affiliate program permits it. And which makes it an even better arena for you as a marketer! To use an affiliate link with a Pin, first pin it and then hit Edit on the Pin to simply replace the provided URL with your affiliate link. WARNING: do not use something like bitly to shorten it. 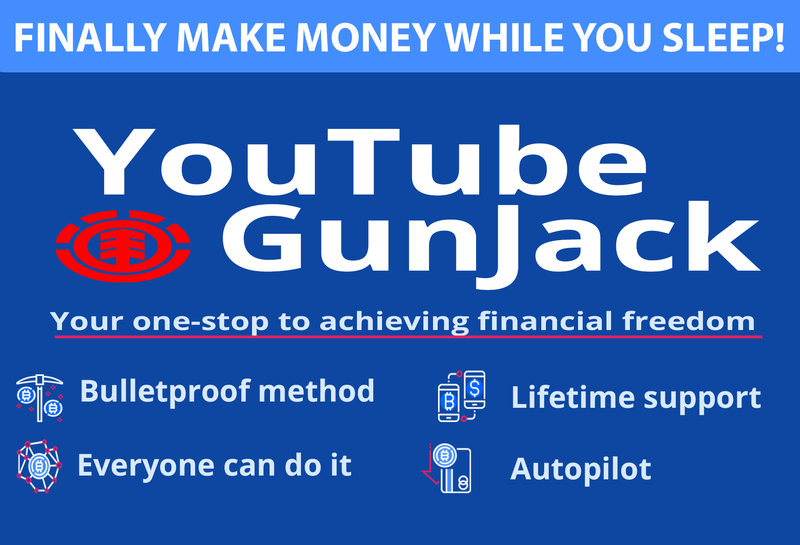 You must provide the full URL or it will interfere with the tracking and also abide by FTC guidelines and disclose any affiliate connection – I simply add the words ‘aff link’ or ‘affiliate’ in my description. 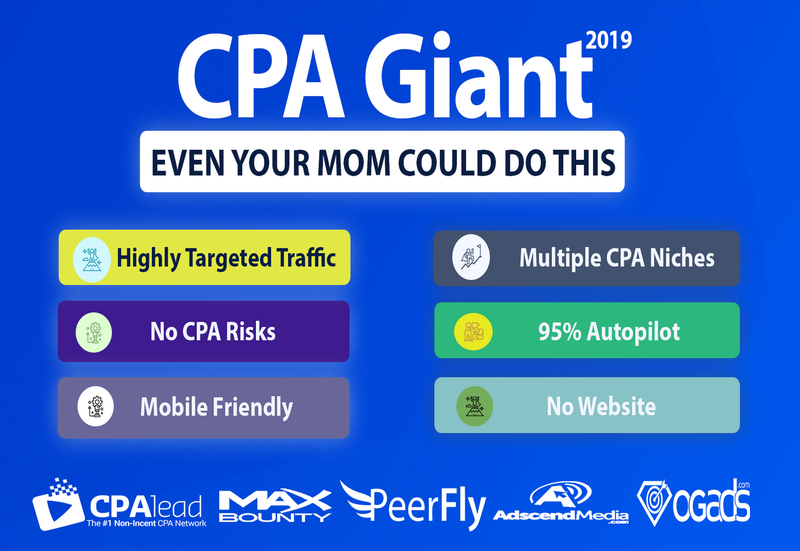 It is wise to sprinkle affiliate links among Pins that simply provide value and to ensure that they are highly relevant to the board on which you are pinning. You can now also promote Amazon products on Pinterest provided you follow some simple rules. You need to have an approved Amazon Associates account and a Pinterest business account. Another method I use which I used to use as a workaround but has since become my preferred affiliate promotion method on Pinterest is to link to a landing page, blog post or article on my site where I provide a review, tutorial or other valuable content related to the product I am promoting. I then use textual affiliate links (I find these work best) to send potential customers to the relevant product page and that can be for anything, not just Amazon products. 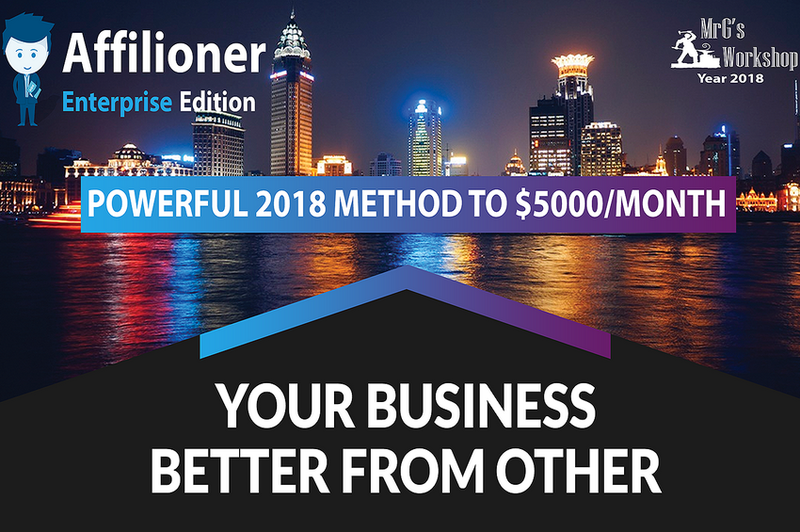 The beauty of this is that I also get a chance to capture subscribers for my list and if you got the upgrades to this course – The eCash Generator and Money Magnets – you will know how best to do that and how to retain those subscribers so that you can continue to promote to them rather than lose them after one possible sale. For other affiliate programs, check the guidelines before you pin and also remember that you can promote Pins with affiliate links for even better results. My regular students will know that I firmly believe that the more open and human you are in your marketing, the more it resonates with your audience and this is especially true on Pinterest. This is an audience that seeks out authenticity, responds to the beautiful and useful and reacts badly if your Pins do not link to what they promise or you over-indulge in salesy practices. Pinterest has been known to limit accounts where the owner is considered to have been ‘over-commenting’ and does not encourage the contests so many Pinterest pundits suggest you try. It’s a fairly young site and a rapidly evolving one trying to strike the right balance between what it offers business users and personal Pinners. I believe it is striking a good balance and, while I counsel you go slow and steady while Pinning and building your boards, this does not mean that results are similarly slow. Just one Pin that goes viral or attracts a large number of re-pins will show you how quickly Pinterest users catch on and spread something they like. More than that, they are happy to buy what they like as you’ve already seen from the statistics. The best way to get them to buy (or sign up) is to make sure you have targeted the right audience and then give them what they want. What you have to remember is that your audience are not necessarily on Pinterest to buy – rather they are there to dream, research and be inspired. If you can feed those dreams, provide the answers they are seeking and inspire them with your compelling Pins, then that browsing will turn into buying or subscribing. If you can tease them or teach them something through tutorial Pins then you will have people clicking through to learn more and/or to buy and subscribe. You learned in the previous section how to create those perfect, compelling Pins. But what do you do once you’ve captured attention and got people liking, re-pinning and following? And then the ninth to really Turbocharge your results! Pinterest is, above all, a community. It’s a place where, if you are consistent in your Pinning as well as your interaction, you can reap rich rewards. It’s also a place where your personality really counts – or at least, the persona you adopt for your niche – and where taking the time to choose, create and re-pin the perfect images for your target audience will pay off big time. Don’t be afraid to reach out to those influencers within your niche and also those people who consistently pin brilliantly within it. You will find that your progress on Pinterest can be astonishingly fast if you follow what you’ve learned here to engage and gain engagement. Remember that it’s not the amount of followers you have on Pinterest that matters so much as the shares and re-pins of your Pins. This is a site like no other and it’s about the quality of the stuff you put out there. Inspire, compel, convince and help people make decisions and you will have provided the necessary value to be a Pinterest superstar in your own right. Ensure that people click through to your sites to buy and/or subscribe and you will also be profiting from a platform which is growing at an astonishing rate and which will surpass ever other social media site or search engine in terms of ROI for a marketer like you. I’ve loved having you along for this course and hope you have enjoyed it as much as I have enjoyed pouring all my best Pinterest tips and strategies into it. Now go and put all you have learned here into action. I look forward to hearing about your Pinterest successes!